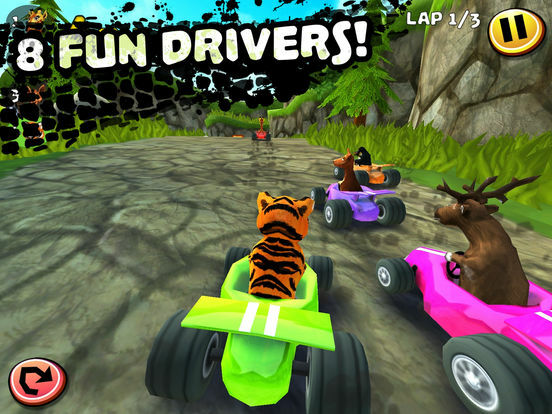 Safari Kart is an brand new 3D Kart Racing Game for all ages. 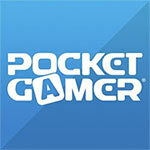 Boost, drift and use power-ups to win your trophies! Race from volcanic jungles to freezing cold ice lakes, unlocking new tracks and characters. Can you be the one to champion all of the Cups? IT'S A WILD RIDE! Choose from eight colorful characters. 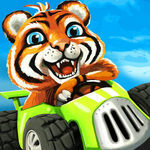 Compete in 12 unique tracks. 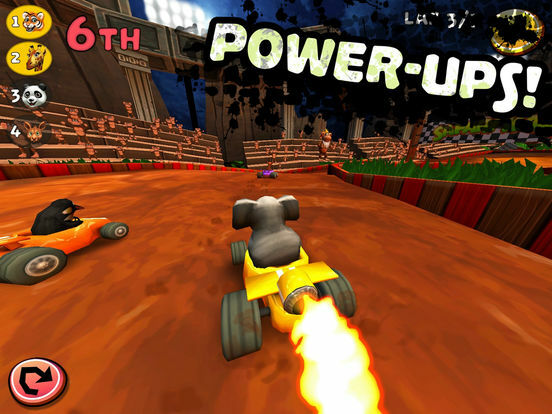 Use different power-ups to gain an edge!Drift around corners for a boost. Three difficulty levels from novice to racing experts. Premium game with no in-game ads or extra purchases! This Mario Kart-alike is mildly fun while it lasts, but it doesn’t last long and doesn’t offer much in the way of extra content to keep you interested/playing. 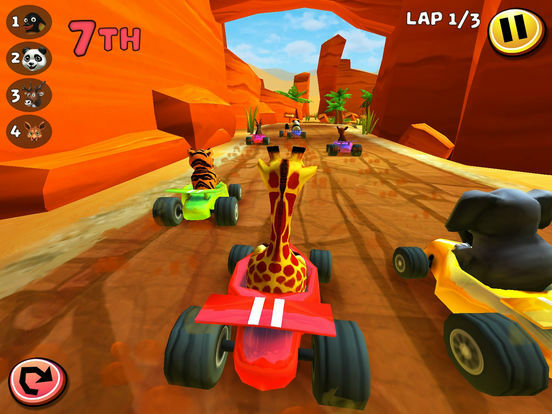 I’ve only just started Safari Kart, but so far I can say that is definitely does not compare to Mario Kart. 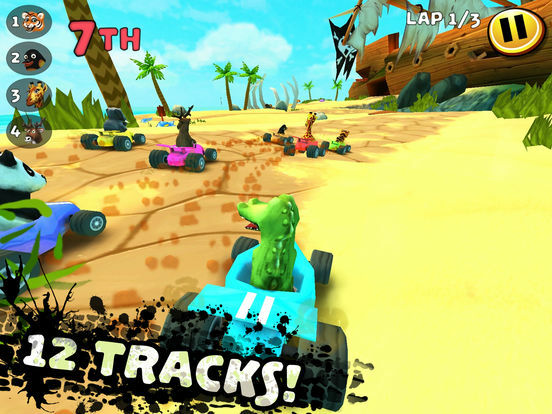 While it may be good enough for someone who does not have a Switch and is itching for some mobile kart racing, there’s enough flaws that prevent me from fully enjoying it. 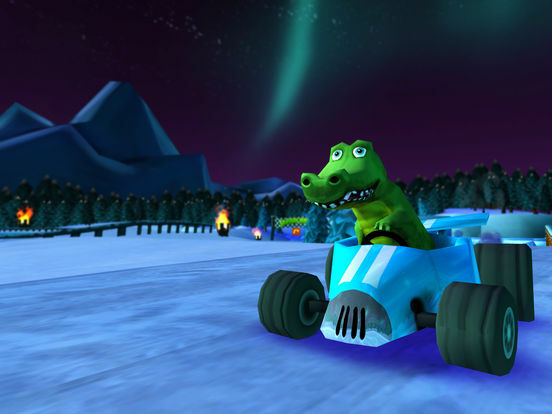 A by-the-numbers kart racer that doesn't really offer anything new to the genre.